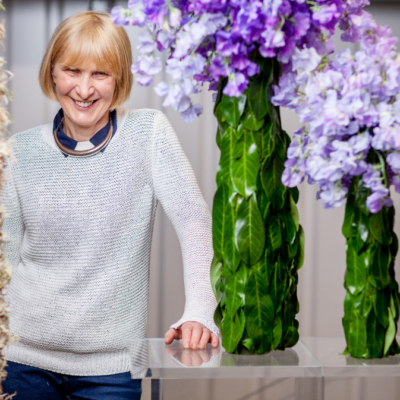 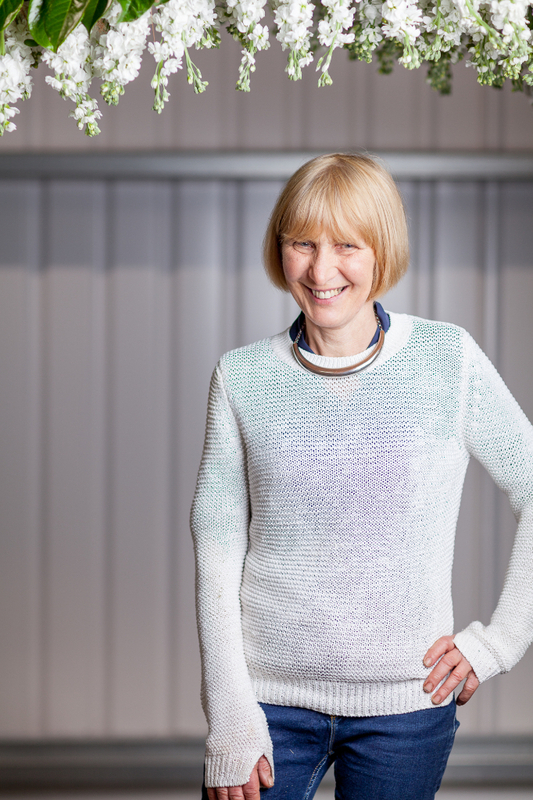 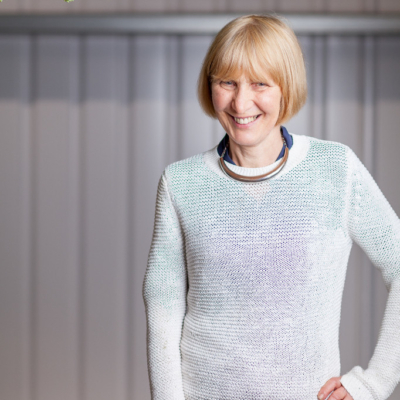 For Mary Jane, one of the most wonderful aspects of working in the floristry business is being able to apply artistry and creativity to engineering and problem-solving in her work every day. 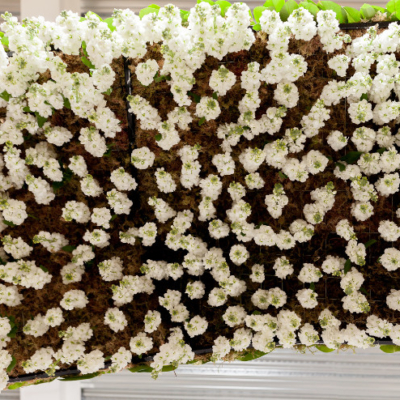 No surprise then that Mary Jane’s second passion – behind her love of flowers – is architecture. 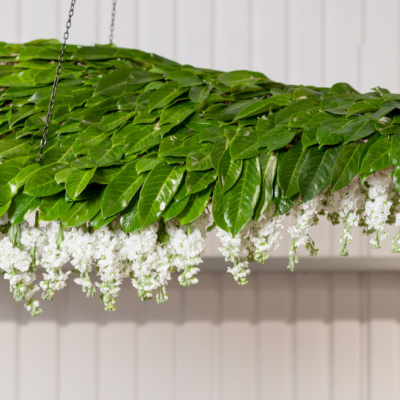 And so, for this year’s British Flowers Week, Mary Jane chose her favourite British architect; Dame Zaha Hadid OBE, as her inspiration. 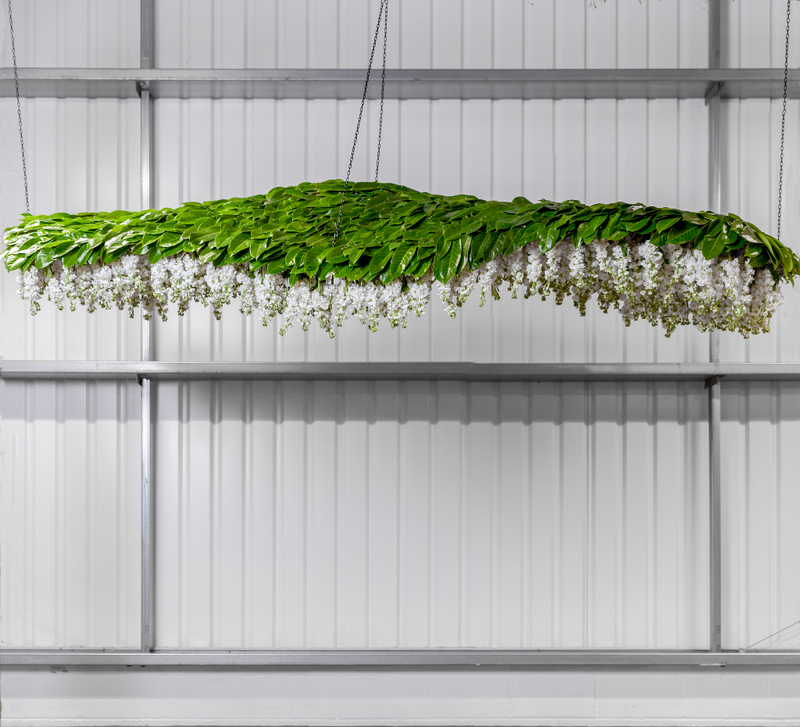 Brave and radical, Hadid’s bold, undulating designs combine geometry with femininity and nature. 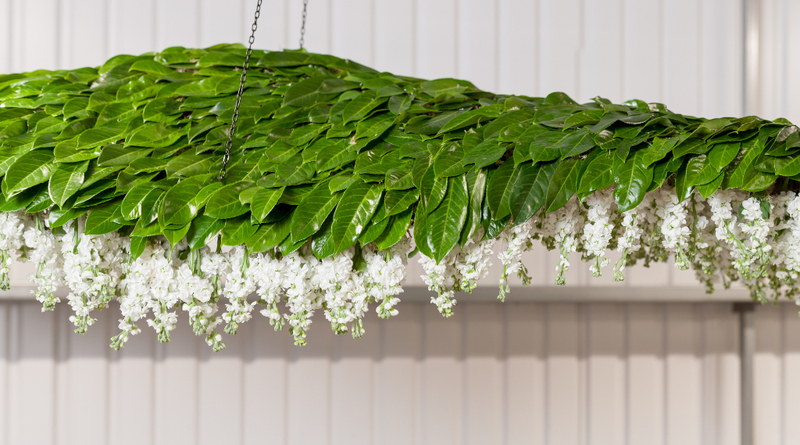 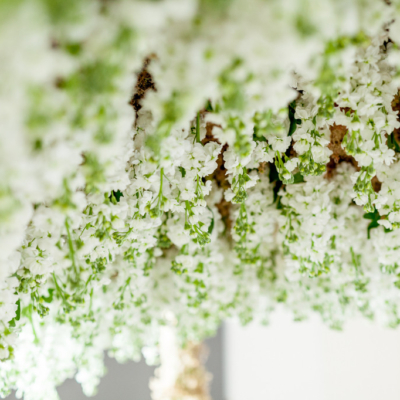 The Showstopper: A curved canopy of white stocks and laurel leaves. 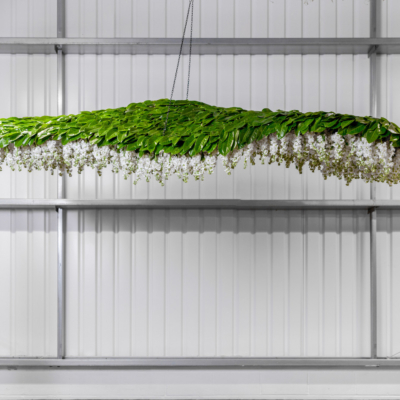 Technical: Hadid‘s designs were often inspired by the movement of water, and so we chose – for our technical design – to make a fluid-shaped, assymetrical necklace of lilac sweet peas, blue cornflowers, white stocks, pale pink atirrhinums, alchemilla mollie, ferns & a single peony. 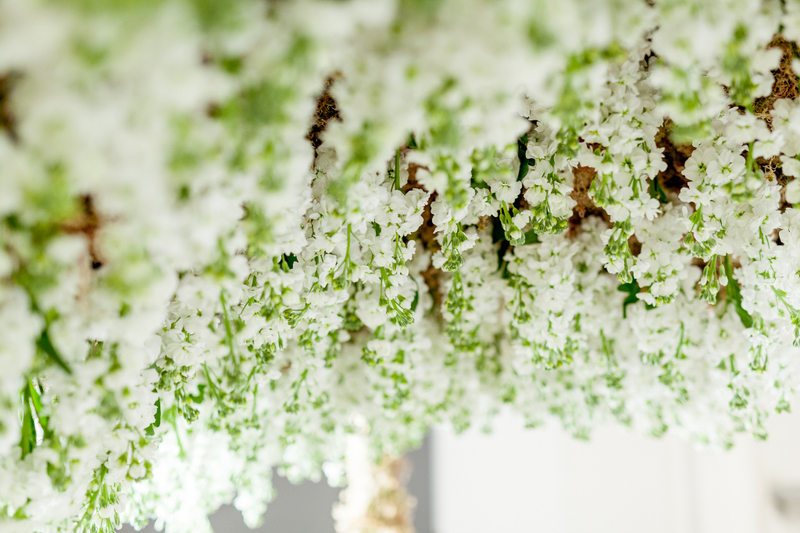 Signature: Inspired by Hadid’s Viso Vase. 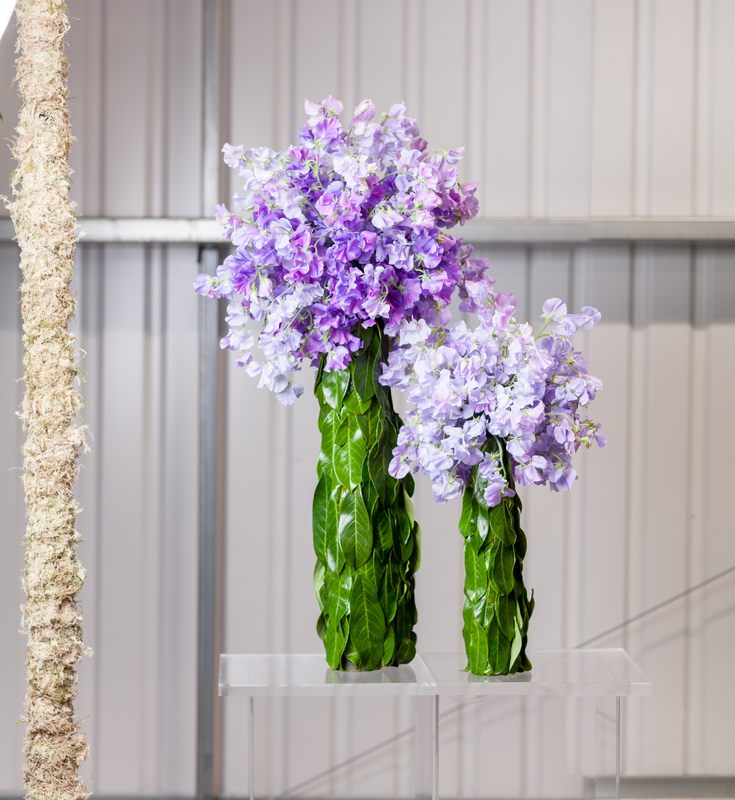 Slender & curved, our vases were made with laurel leaves and filled with the beautiful British favourite – the sweetpea. 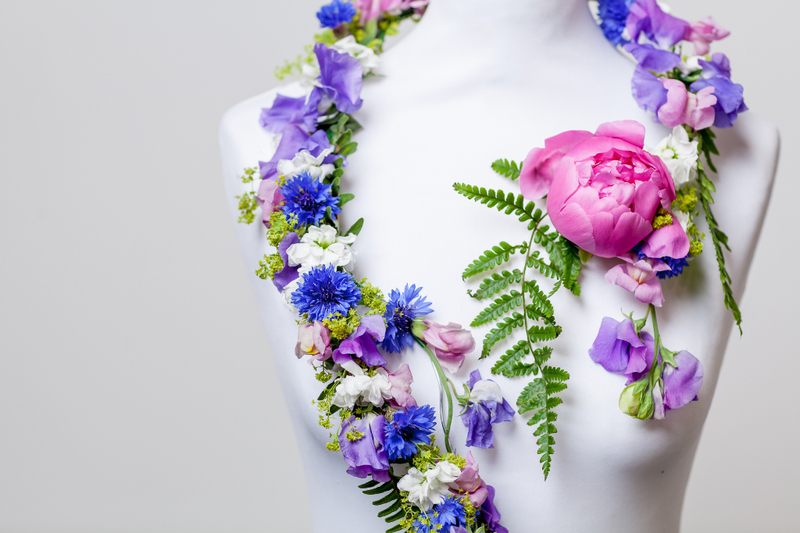 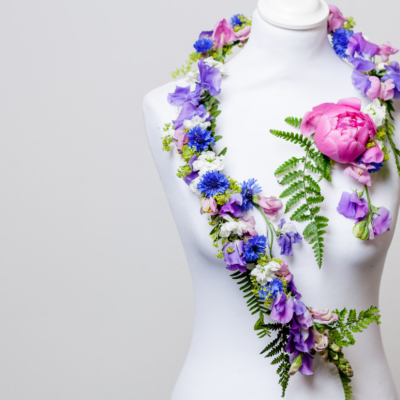 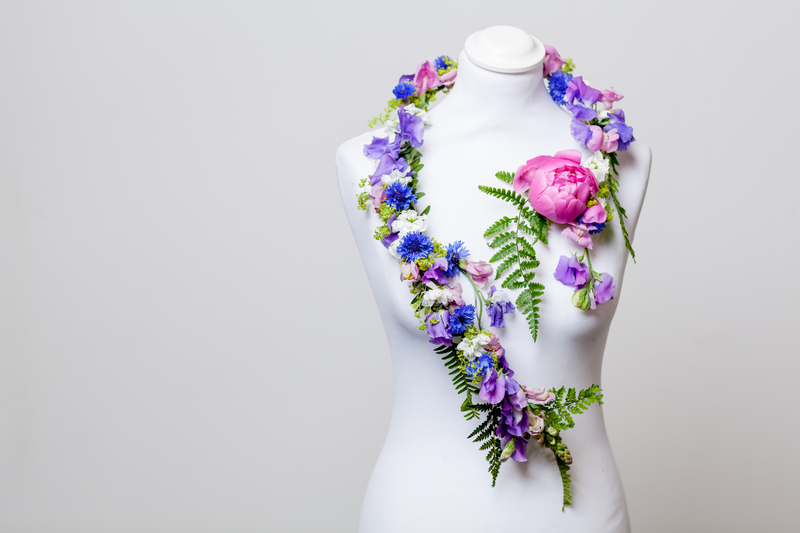 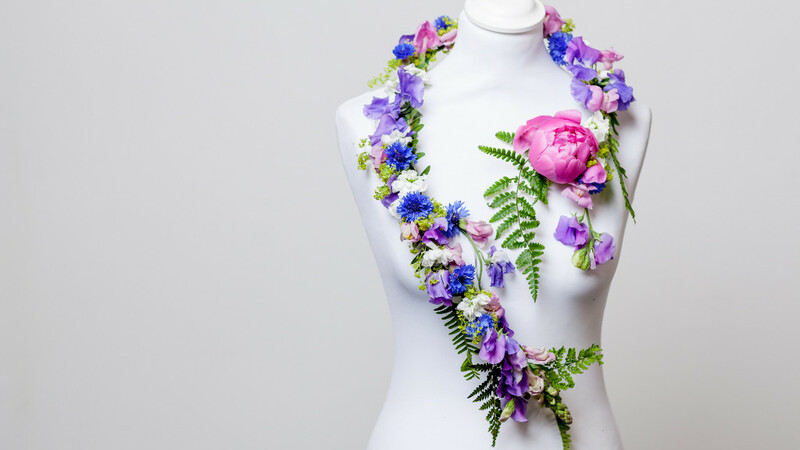 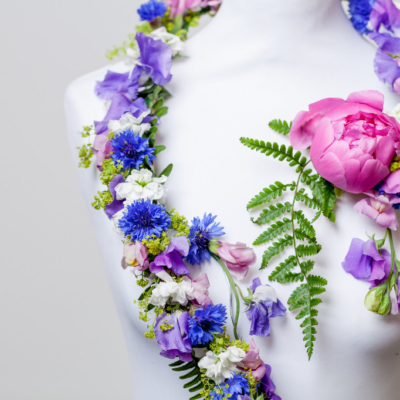 An intricate wired design, it features lilac sweet peas, blue cornflowers, white stocks, pale pink antirrhinums, alchemilla mollis, ferns and a single peony. 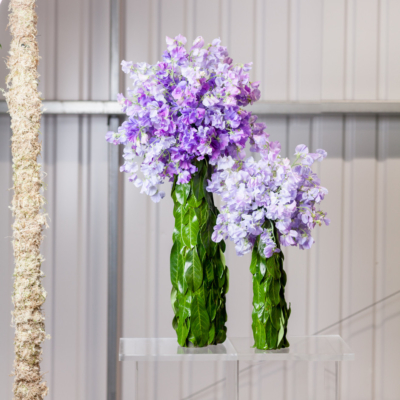 Based in Battersea, we buy exclusively from our neighbour; the New Covent Garden Market, with a commitment to always buying British-grown flowers where possible. 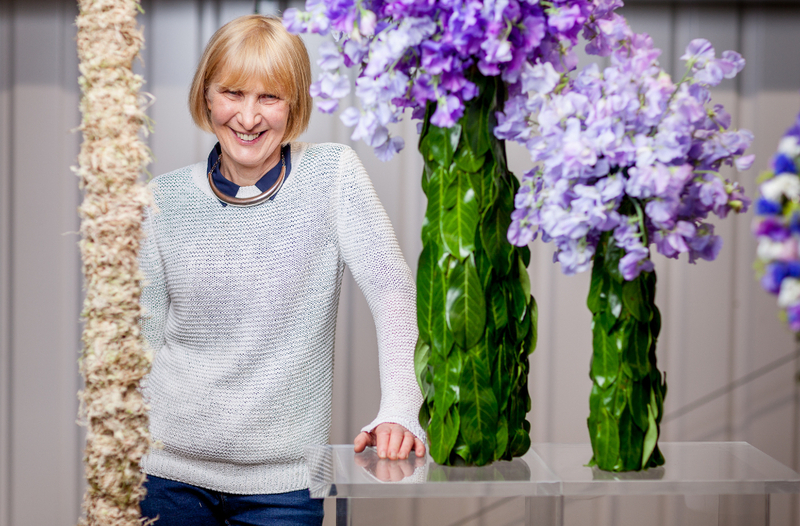 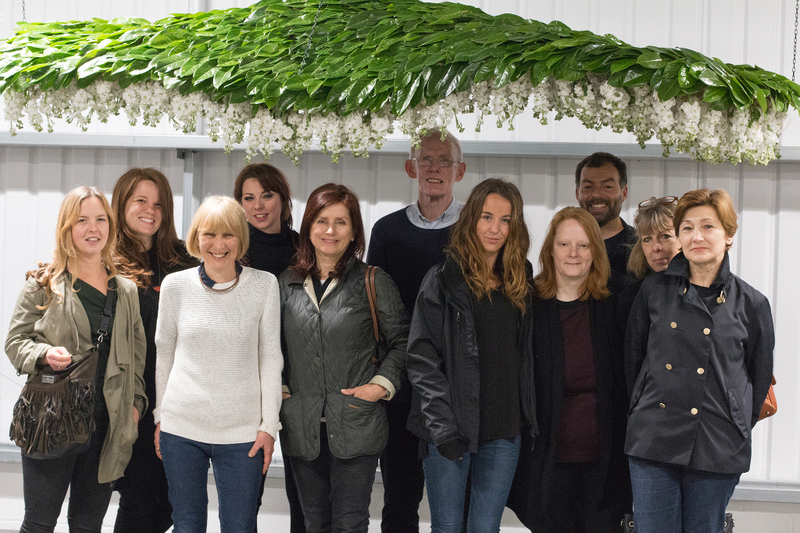 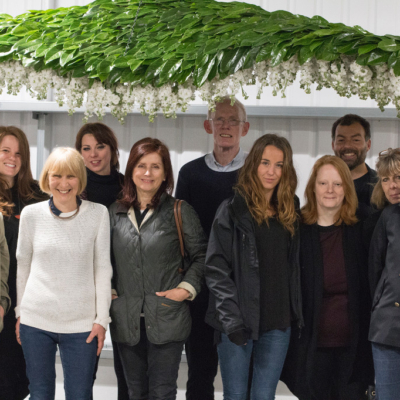 As such, British Flowers Week is an event close to our hearts, and we are so excited to have been chosen as one of this year’s five winning florists!